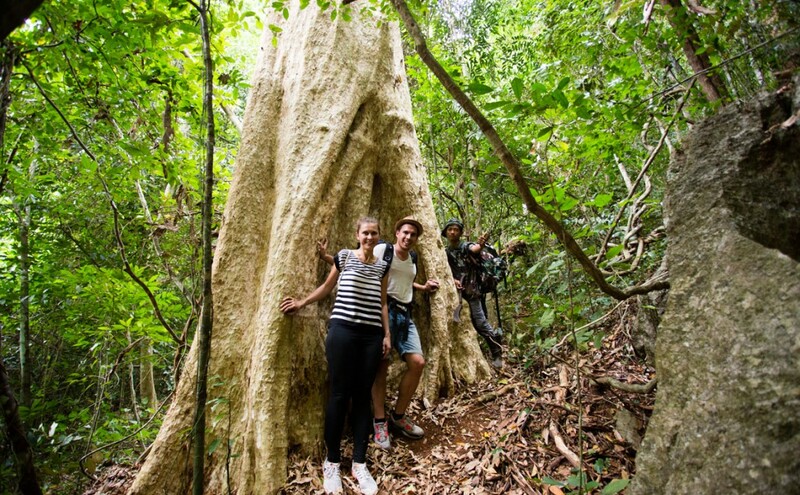 There is no more adventurous way for you to see Khao Sok than with a team of local guides, far beyond the typical trails. If you want to experience the “real Khao Sok” we highly recommend spending a few nights in the jungle with our experienced guides. You’ll bring everything with you that you need and leave the comforts of resort life far behind. Here amongst the buttressed roots of rain trees and old growth of the 65 million-year-old rainforests you’ll observe the wildlife of the jungle the way that nature intended. 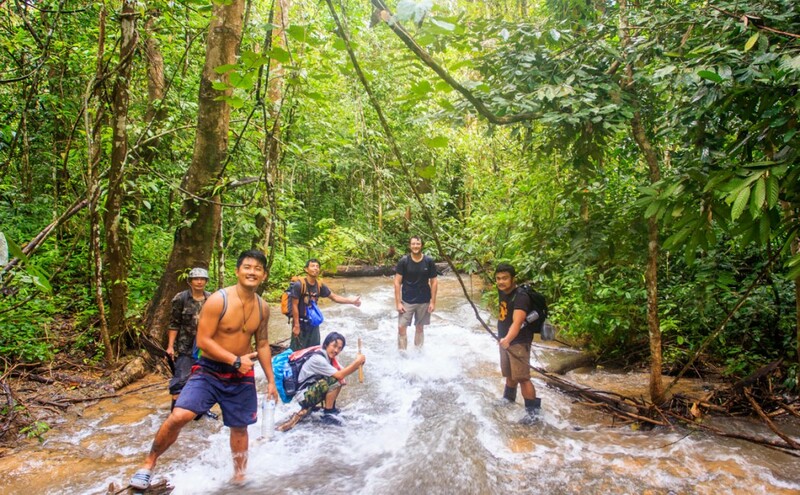 When doing Khao Sok Jungle Camping, you’ll be going along rarely-used trails that are both challenging and rewarding. Your guide will show you the habitats of rare species of birds, lorus, and all manner of curios. 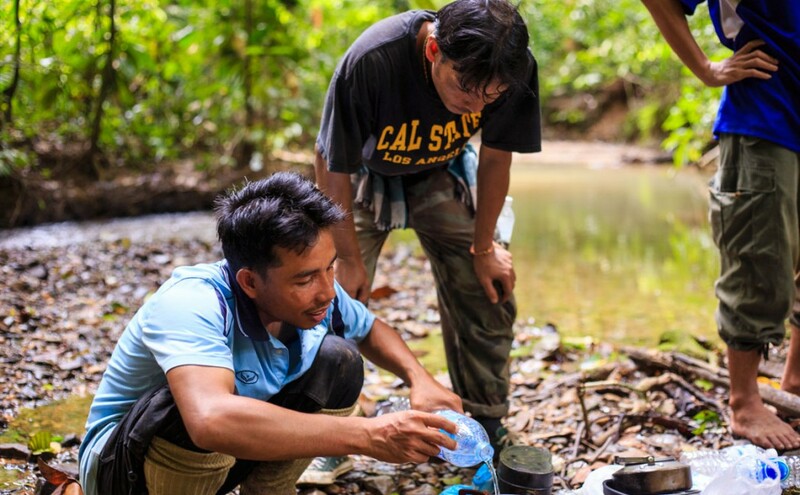 You’ll learn how to find water, cook with bamboo, and survive in this plentiful environment of flora and fauna. Though you’ll be “roughing it” porters will carry your food so you can focus on your environment and the wonders of the jungle. There is no substitute for the peace and serenity of spending the night in a hammock tethered between two trees and waking with the sun to the sound of Gibbon monkeys singing their morning song. 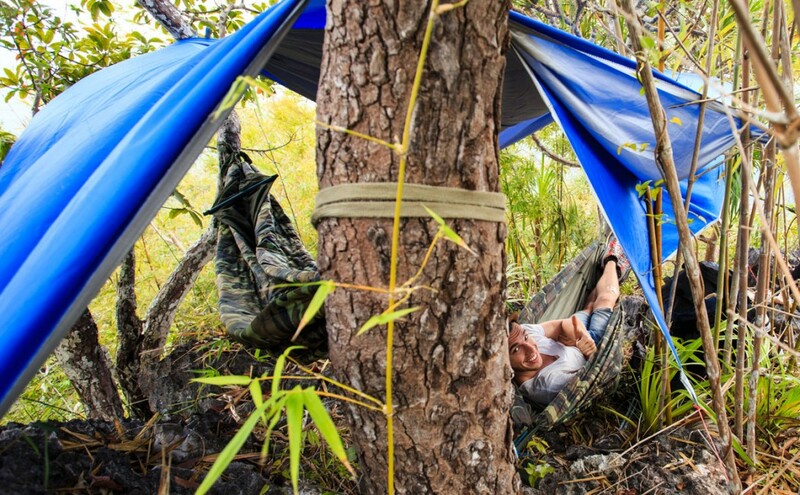 Meals,hammocks, and all necessary equipment are provided as part of the trip expense. Just bring a back pack, a change of clothes, toiletries, and your sense of adventure! 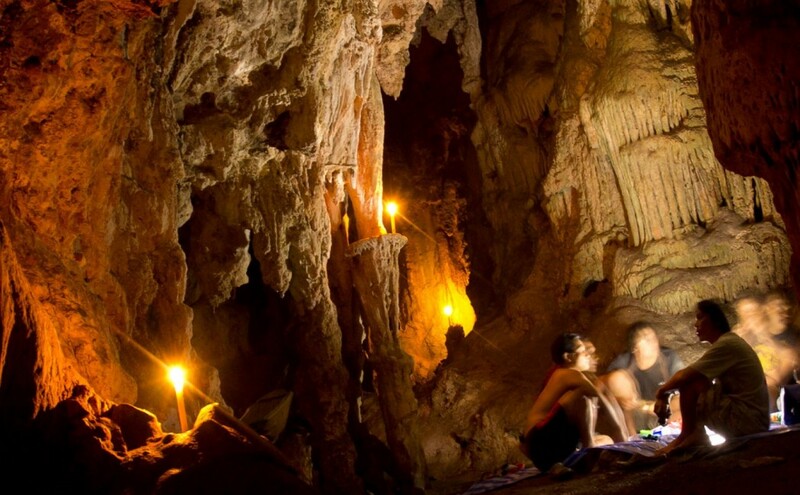 Please note that Khao Sok Jungle Camping trips can only be done December through April. All camping trips require an english-speaking guide and a park ranger. 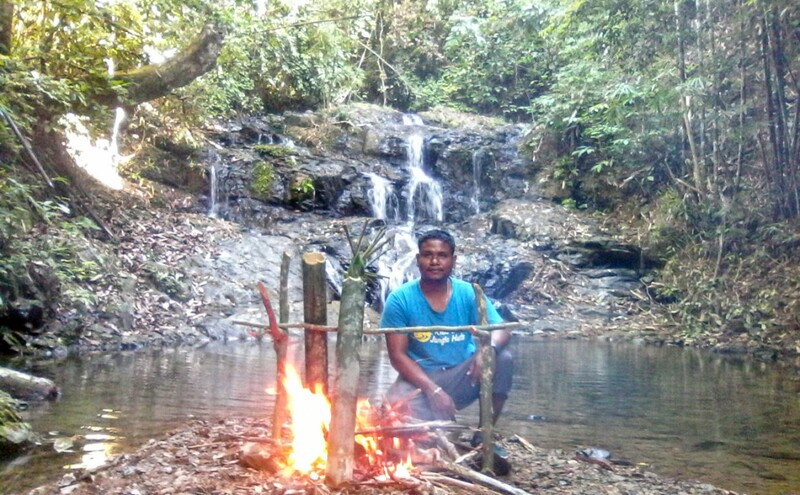 In the afternoon, you’ll find your place to make camp where your guide and ranger will prepare a bamboo dinner! Once you’ve finished lunch, you’ll continue to Tung Krai Han. Because the majority of grass lowlands in the area were the first places converted for agriculture, this is a rare and threatened ecotype that even many locals haven’t seen. You’ll stay here for the night near a seasonal pond that connects to Cheow Lan lake by underground springs.